Are you worried about having your sensitive financial information stolen over the holidays? Then you may be considering a credit freeze. But if you’re also preparing to buy a home, a credit freeze could become problematic. Here’s what you need to know about credit freezes and how they can affect your ability to qualify for a mortgage. A credit freeze is a free tool that consumers can use to restrict access to their credit reports. A credit freeze can be a great idea if you’ve been the victim of identity theft, as it makes it difficult for criminals to open a new line of credit in your name. Since most creditors use your credit report to qualify you for an account, the credit freeze makes it unlikely that you’ll have to deal with fraudulent purchases made in your name. After the Equifax security breach in September of 2018, Congress passed new legislation that requires all the major credit bureaus to allow consumers to freeze their credit reports for free. Previously, a fee was levied each time a freeze was initiated. 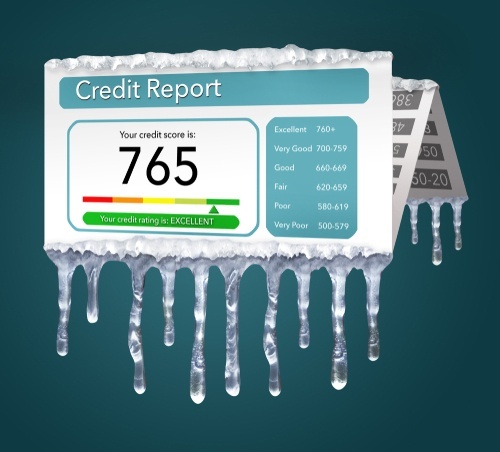 In order to freeze your credit, you must contact each of three credit bureaus – TransUnion, Experian, and Equifax. They are required by law to respond to your request within one business day if you contact them by phone or online. They have three days to respond if you mail in your request. How does it affect a mortgage application? Although a credit freeze can help keep you from becoming the victim of a crime, it also prevents legitimate inquires. This means if you’re applying for a mortgage, a lender will not be able to access your credit report. If they can’t verify your credit history, they can’t estimate your rate or terms. This means when you’re applying for a mortgage and closing on a house, you need to unfreeze your credit. In the past, this could slow down the mortgage application and closing process significantly. How do you unfreeze your credit? Fortunately, the new legislation makes it much easier and faster to freeze and unfreeze your credit. When you know you need to unfreeze your credit because the lender will need to pull your report, you will once again contact each of the three credit bureaus. By law, they are required to respond to your request within one hour if you call or contact them online. Be aware that you must be the one to contact each credit bureau. Otherwise, your lender will not be able to access the information they need to proceed with your home purchase. Also be aware that lenders will need to pull your credit history twice – once during the application process and again right before closing. The bottom line is that a credit freeze should not impair your ability to qualify for a home loan. You simply need to be knowledgeable about the process and understand that it’s your responsibility to contact each of the credit bureaus to both freeze and unfreeze your report. Because of the changes in the law, it should no longer significantly slow the home buying process. And you can have the peace of mind knowing that you’ll have the added safeguard against identity theft during the holiday season.